I can't get enough strawberries this time of year. We are lucky to have strawberry fields all around us. Here is a new recipe I just created, I hope you enjoy it as much as we did. In a food processor, mix flour, salt, and sugar. Add shortening, mix until shortening is incorporated. Cut dough in half. Save half for another time, flatten and place in baggie and freeze. Roll other half out between two pieces of floured parchment with rolling pin. Prick with fork, add some uncooked rice or dry beans to weight down bottom while cooking. Bake ar 425 degrees for 15 - 20 minutes, until golden brown on edges. Pour out rice or beansCool completely. In a heavy medium saucepan, combine all the ingredients, let rest for at least 15 minutes, until the fruit exudes some juice. Bring the mixture to a boil over medium high heat, stirring constantly. 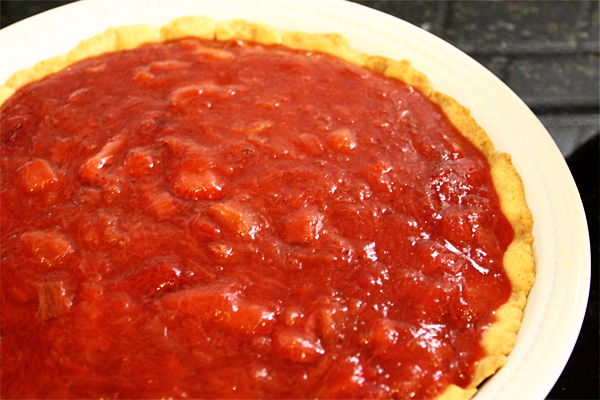 Reduce the heat to low and simmer, stirring occasionally, until the rhubarb is tender and the liquid thickened, 10 to 15 minutes. Remove it from heat and allow to cool. Pour the rhubarb mixture into the pie crust. 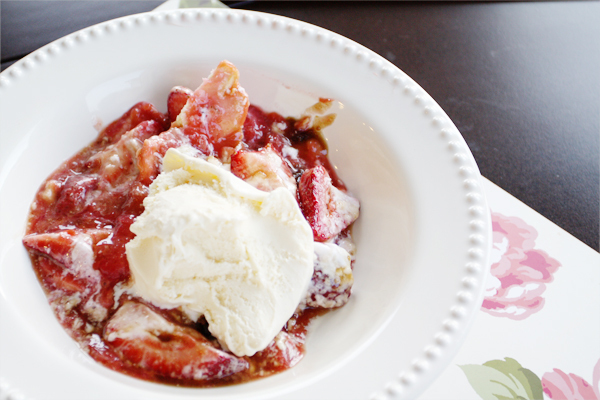 Mix strawberries and sour cream, spoon on top of pie filling. Sprinkle brown sugar on top. Broil for about 5 minutes, watching carefully so brown sugar melts and begins to caramelize but doesn't burn. Serve right away with a scoop of vanilla ice cream. It is sure to become a family favorite! That looks so good! 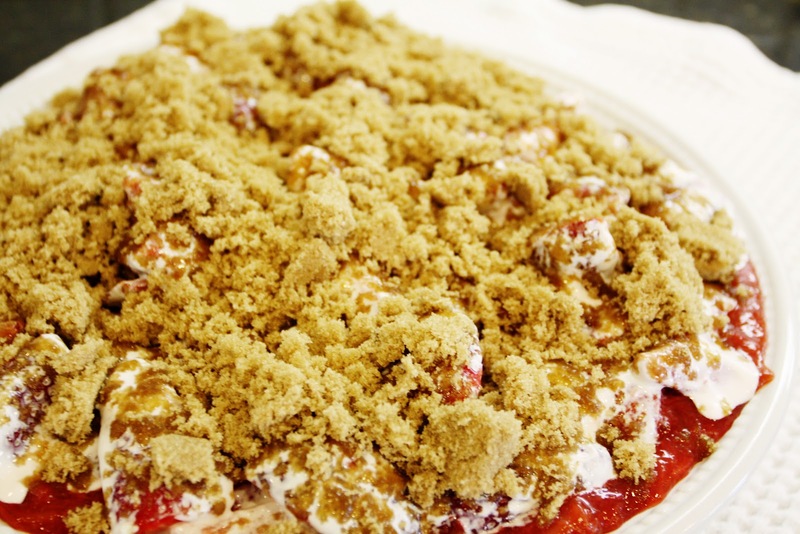 i have always loved rhubarb but have never known how to prepare it. I can't wait to try this! © welcome to they lived on wisteria lane blog! 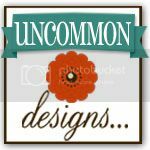 Feel free to link posts from this site, but please do not borrow or steal my designs without written permission. thank you!